Is populism simply the new way of referring to certain types of opponents we do not particularly agree with, or do populists have a real effect on the quality of modern democracy? This question is neither new nor original; nevertheless, it is one that does not cease to capture the interest of both scholars and public opinion, particularly in the current political climate. 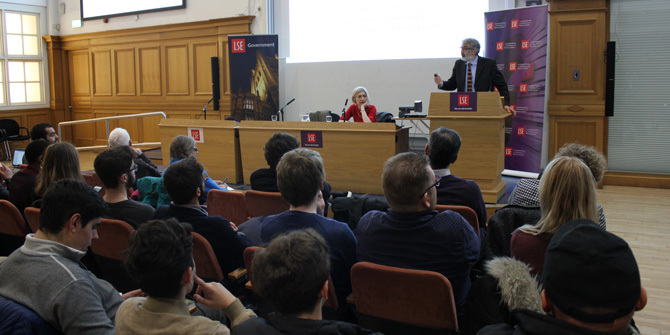 Valentino Larcinese, Professor at the LSE Department of Government, uses the experience of the Five Star Movement in Italy to explore this question, linking it with more general findings about the lack of trust in elected political representatives. Larcinese delivers insightful evidence revealing that the Five Star Movement (M5S) parliamentarians are more similar to the Italian population in terms of income and occupational status than parliamentarians from other Italian parties. Moreover, he demonstrates that despite lacking political experience, M5S parliamentarians do not perform worse than the average Italian parliamentarian in terms of activity. Professional politicians hold the lowest levels of trust in almost every European country compared to other professions. More importantly, trust in politicians has plummeted in Southern Europe in the past decade The issue seems to be a growing discrepancy in the attitude and policy preferences between politicians and voters, allowing new parties to capitalise on the discontent of the broader population. But in a democratic system, where the people have the ability to hold their politicians accountable by casting their vote, should politicians not respond to the will of the people? Somehow, this is not what happens. Policy implementation tends to be well correlated with the preferences of the population from the top 10% of the income distribution. This correlation, however, becomes negligible further down the income ladder. Is the problem a lack of competition within politics? In the populist view, elites do not compete for power – -they instead form a cartel we like to call “the establishment”. What is the proper definition of populism remains under debate, but most scholars would agree that, at the minimum, populist parties tend to appeal to ‘the pure people’ against ‘the corrupt elite’ with a narrative of a crisis or threat. This would make populism an ideology, albeit a thin-centred one. Some academics include stylistic features in their notion of populism, such as leaders’ use of bad manners to the extent of rejecting polite, political discourse. A different view, held by technocrats, suggests that politicians should not be fully responsive toward their electorate, due to misinformed and short-sighted voters. Experts are better at long-term and enlightened decision-making, therefore, a substantial distance between citizen and policy-makers is fundamentally positive. Larcinese moves to examine the case of Italian M5S, which, in line with the general populist agenda, aims to replace the elite with common people. Like so many other populist parties across Europe, M5S has seen consistent growth in vote shares since it became the largest party in Italy in 2013. In examining this phenomenon further, Larcinese asks three questions: Who are the parliamentarians of M5S? Who are the people who voted for them? And how does M5S’s parliamentary activity compare to the activity of established parties’ politicians? Distinguishing itself from the competing parties in the Italian parliament, M5S does not consist of experienced politicians, and only a small percentage comes from a background as managers, entrepreneurs or intellectuals. On the contrary, the majority of M5S’s politicians held jobs in the routine, non-manual sector before getting elected to parliament. Secondly, in terms of declared income at the time of the election, the average M5S representative is, again, closer to the average Italian citizen compared to representatives from other parties. With regards to who voted for M5S, there exists a relationship between lower levels of income and occupational status and the likelihood to vote for M5S. A clear generational gap also exists, as younger generations are more inclined to vote for M5S. Therefore, M5S parliamentarians are evidently on average more similar to the average Italian citizen than other parties’ representatives. Additionally, Larcinese finds that, without assessing the quality of the activity itself, the level of activity among inexperienced M5S parliamentarians (as measured for example using number of bills proposed, attendance of parliamentary meetings, speeches, amendments etc. ), as a whole, is no worse than the level of activity in other parties . The activity index is only one indicator among several others that can indicate how much parliamentarians are working for their electorate. However, it ought to still shed some light on their general capacity of performing as legislators. Interestingly, the performance of M5S’s parliamentary activity is more evenly distributed among the parliamentarians, lacking very active or inactive parliamentarians relative to other parliamentary groups. Furthermore, the level of activity in M5S increases drastically during the mandate period, and by the end of it, even outperforms that of experienced MPs. Even further, MPs from M5S (who were all at their first experience in parliament) outperformed new MPs from other parties. These answers bring us back to the initial question: do we need professional politicians? Perhaps not. As an endnote, Larcinese inquires whether populism is truly a threat to democracy. The answer to this question essentially comes down to one’s perception of what constitutes a good democratic system, as it is one without a definite answer. As Larcinese humbly points out, with the evidence provided in this lecture we cannot assertively judge the desirability of populism. Theoretically, if our notion of acceptable democracy is liberal democracy, the majoritarian tendency of populism could endanger individual and civil rights. However, the lecture leaves us wishing to explore the question further. Larcinese eventually rounds up the question by voicing his belief that, regardless of how dangerous populism might or might not be for democracy, it is a symptom that we ought to take seriously; voters feel unrepresented by their politicians and they are reacting against the established system. 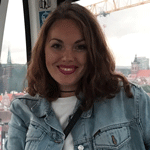 Elsa Öhlén is a MSc student in Global Politics at the LSE Department of Government. Her research interests revolve around democracy, government accountability and corruption.